Nov. 25, 2014. 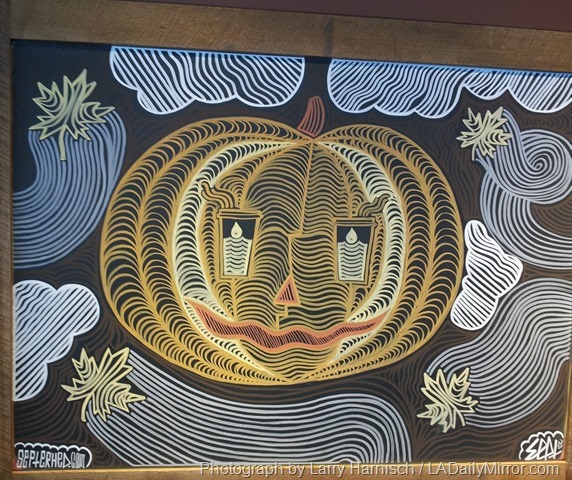 Septerhed’s latest drawing at Starbucks. 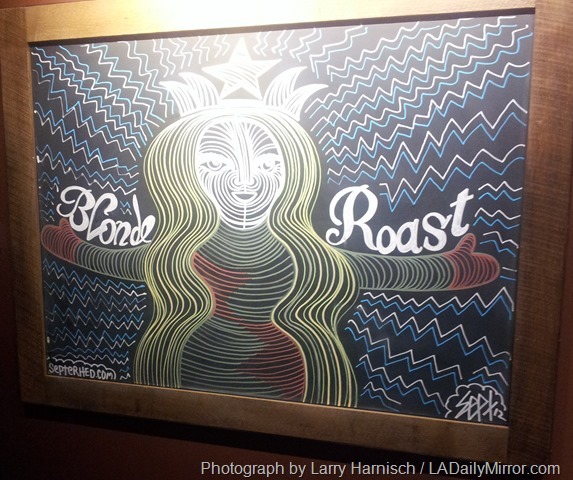 Since I encountered them more than a year ago, I have been a fan of Septerhed’s drawings, a recurring feature at the Starbucks at Spring and 6th streets in downtown Los Angeles. All Starbucks stores have blackboards, usually with some sort of artwork, but nothing like this. These are ephemeral works, drawn on a blackboard, so a photo is the only way to preserve them. Here’s the first one I saw, Jan. 28, 2013. 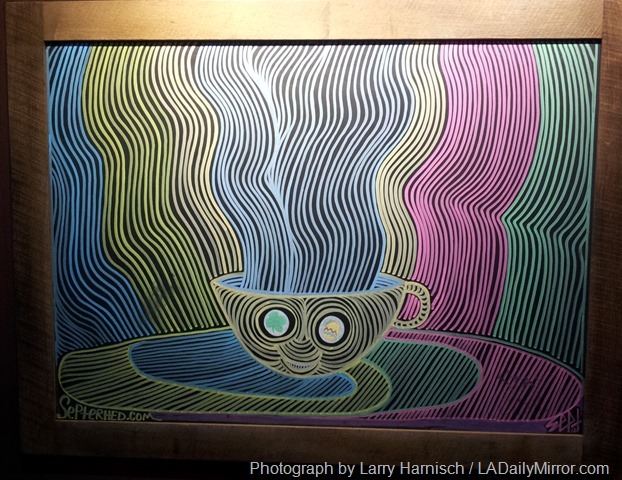 This entry was posted in 2014, Art & Artists, Downtown and tagged 2014, art and artists, downtown L.A., Septerhed, Starbucks. Bookmark the permalink. Thank you for preserving these wonderful chalk drawings. PS In slang, septerhead = butterface. These remind me of the old tradition of sidewalk painting. Elzie Segar, creator of Popeye, ran the local movie house when he was growing up in Chester, Illinois. His first public artworks were chalk drawings of that week’s film on the pavement in front of the theater.